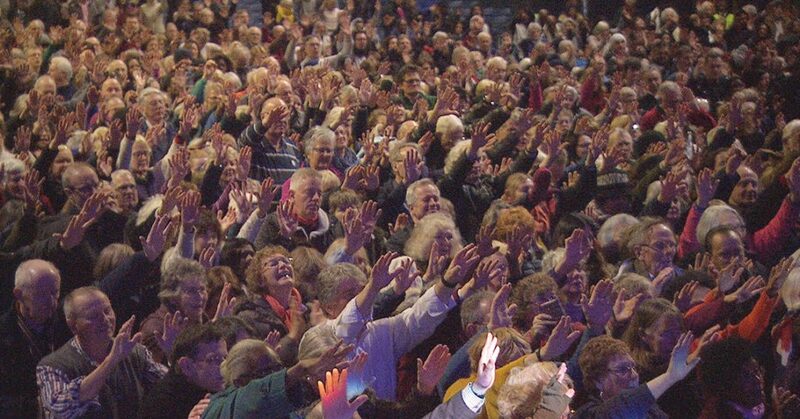 Around 3,000 Christians flocked to Wembley for a national day of prayer on Saturday 26 January. The all-day event, called by evangelist David Hathaway, gathered believers from across ethnic, racial, social, cultural and church divides – together with prayer groups across the nation and around the world. Thousands also watched via live streaming. Heartfelt prayers were led by Christian national leaders including Dr Clifford Hill, Andrea Williams, Bishop John Francis and Rev Betty King. Leading prayer were: David Hathaway, Clifford Hill, Tobi Adeboyega, Nims Obunge, James Aladiran, Elijah Chanak, Yemi Adedeji, Bishop John Francis, Betty King (who had the vision for Wembley and gave her worship team and ushers), leaders of other black churches in London, Sid Cordle, Andrea Williams, David Hews (Prayer for Parliament), representatives from Christians in Government, Sharon Stone, Lou Engle (from America), Barry Segal (from Israel) and Berthold Becker (from Germany). Worship director: Phil Woolley. Soloist: Huw Priday. Videos of the entire day (parts one and two) are available via David Hathaways’s YouTube (youtube.com/eurovisionmission) and Facebook (facebook/davidghathaway) pages.